The Palestinian Ministry of Trade and Industry has opened a legal investigation to determine which companies deal with Israel in the occupied territories at the request of the Ministry of Foreign Affairs after it had been informed by the Organisation of Islamic Cooperation that the British-based multinational security services company G4S, which works for Israel in the occupied Palestinian territories, is suspected to have branches in Kuwait, Al-Quds newspaper reported on Tuesday. Meanwhile, sources told the newspaper that Kuwait’s Ministry of Commerce has asked the relevant departments to check if G4S has a license to operate in Kuwait and to immediately notify it to stop dealing with Israel in the occupied Palestinian territories, or else the company’s license will be cancelled and it will be prevented it from operating in Kuwait. Sources also noted that Kuwait’s law number 21 of the year 46 states that Israeli products must be boycotted and prohibits dealing with Israeli companies, stipulating that any company that violates this law or deals with a banned entity will be punished. 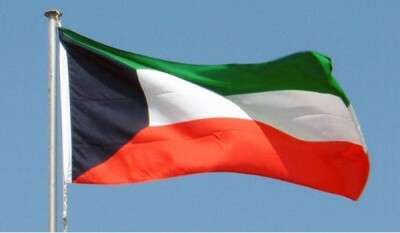 The Kuwaiti Ministry of Commerce has recently ended its cooperation with 50 European companies because of their activities in the settlements built on the occupied territories of 1967. This decision reflects the official position of the specialised committees in the Organisation of Islamic Cooperation and the Arab League, in response to the important popular and parliamentary pressures that have been pushing in this direction for four years in coordination with the National Boycott Committee. Recently, the opportunities for having similar positions in different parts of the Arab world have been increasing, which will strongly encourage the economic boycott of these companies on the global level. Al-Quds reported that the Municipality of Kuwait decided earlier to exclude French company Veolia from a huge contract for solid waste treatment, valued at $750 million, because of its involvement in Israeli projects contrary to international law. It is also “excluding Veolia from any future projects,” following an appeal from the National Boycott Committee.